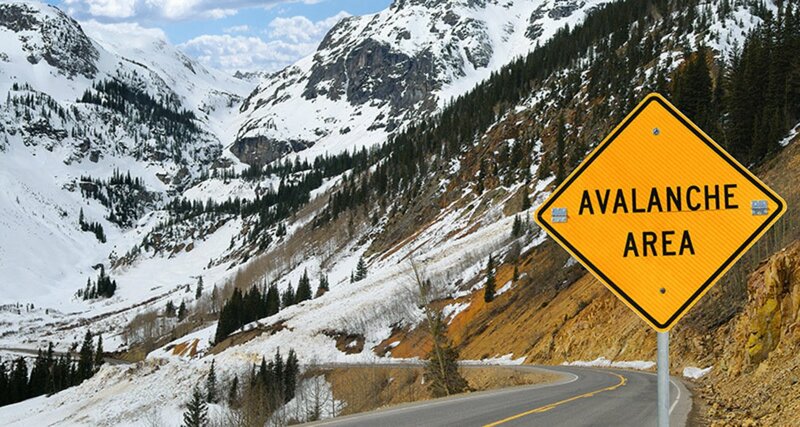 Thousands of avalanches occur each winter in the mountains of Colorado. With the enormous popularity of winter sports in Colorado, this poses a risk to skiers, snowboarders, snowmobilers, and people traveling in the backcountry. On average 6 people die in avalanches in the state of Colorado every year. Anyone who travels into the high country in the winter should be prepared for avalanches and, most importantly, how to avoid them. The most important thing to know is how to get information on current avalanche conditions. Check the Colorado Avalanche Information Center website for the accurate and current avalanche forecast and the National Weather Service website for the most current weather forecast. Knowing the current and future conditions will help you make good decisions in the backcountry. A little information about avalanche safety can go a long way. You can take a short but packed avalanche course aimed at introducing backcountry users to safe travel and assessment of snow conditions in the surrounding backcountry. Most avalanches occur during or just after snowstorms on slopes between 30 and 45 degrees. A significant snowfall may result in an unstable snowpack. By waiting at least 36 hours after a big snow or wind storm before you go into the mountains the snow may become more stable and less likely to avalanche. If you stay in valleys away from avalanche chutes, in stands of trees, or on gentle slopes you can decrease the risk of being caught in an avalanche. If you are a skier or snowboarder at a commercial ski area the risk of avalanches is lower than in the backcountry. Ski patrols work to reduce the chance of an avalanche on open slopes. Respect the rules of the ski area…stay on open slopes and do not stray out of bounds or into closed areas. The avalanche risk is higher outside of the ski area boundaries. Check the current avalanche forecast to get information on current and forecast avalanche conditions. Also, check the latest weather forecast to see if conditions are likely to change while you are in the backcountry. If crossing a slope that may be prone to avalanches, do it one person at a time. You want to minimize the impact on your party if an avalanche is accidentally released. In avalanche country, all members of your party should carry avalanche rescue equipment including an avalanche beacon, shovel, and probe pole. This increases your chance of a successful rescue and finding your friends alive. 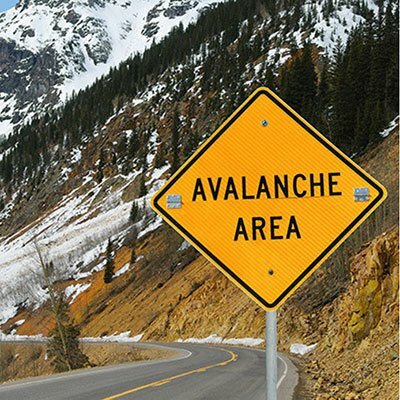 Avalanche conditions in Colorado are monitored and forecasted by the Colorado Avalanche Information Center, CAIC. You can get more information on avalanches, avalanche forecasts, avalanche safety and request a safety class from the CAIC. Go to their website, http://avalanche.state.co.us or call the center at 303-499- 9650.